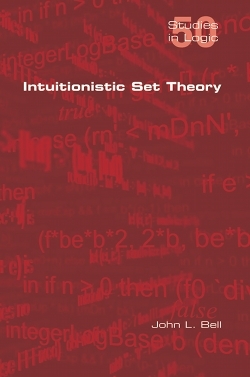 While intuitionistic (or constructive) set theory IST has received a certain attention from mathematical logicians, so far as I am aware no book providing a systematic introduction to the subject has yet been published. This may be the case in part because, as a form of higher-order intuitionistic logic - the internal logic of a topos - IST has been chiefly developed in a tops-theoretic context. In particular, proofs of relative consistency with IST for mathematical assertions have been (implicitly) formulated in topos- or sheaf-theoretic terms, rather than in the framework of Heyting-algebra-valued models, the natural extension to IST of the well-known Boolean-valued models for classical set theory. In this book I offer a brief but systematic introduction to IST which develops the subject up to and including the use of Heyting-algebra-valued models in relative consistency proofs. I believe that IST, presented as it is in the familiar language of set theory, will appeal particularly to those logicians, mathematicians and philosophers who are unacquainted with the methods of topos theory.